South African internet users grow by 15% - are you taking advantage? Read the complete study from World Wide Worx here. The number of South African internet users have passed the 5 million mark to 5.3 million. This is 15% up from 4.6 million a year ago. This is all very good news for estate agents, especially those who already have an internet presence established and are engaging with clients on a daily basis through the various property portals and social networking sites like Twitter and Facebook. ‘Early adopters’ of new technology always have the edge, reaping more compared to ‘late adopters’. It’s like an investment with compound interest. For example, starting a facebook group or twitter page for your agency early on, you can gain relatively more followers by the time your competitor wakes up to join the race. The same goes for SEO (search engine optimisation) which is a time consuming process – writing just 1 unique article a week for your website’s news section, you can have close to 50 SEO’d articles in one year. (No let your competitor try to do that in a few days!) We all know that Google loves unique content, and by adding new info bit-by-bit you can slowly secure your website at the #1 spot for search results for property in your area. With social networking sites like Facebook and Twitter you can establish yourself as a market leader in your area. With the growth of internet users in Southern Africa, you can bet that more and more people will start their home search on the internet, whether it be sales, rentals or auctions. Look out for opportunities where other estate agents have not yet taken advantage off. Two good examples are Google Adwords and Facebook ads. Both of these you can refine to only show ads for specific keywords and/or a target locations. E.g. only show ads for people performing a Google search containing ‘Roodepoort’. (if you work in the Roodepoort area). 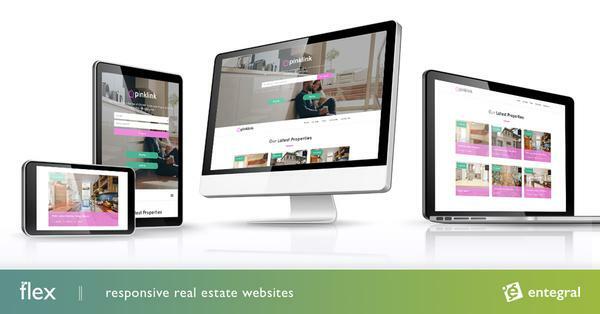 Another upcoming technology with the growth of mobile users, is mobile property websites. People visiting your website through their mobile phone is automatically routed to a smaller mobile version designed for mobile phones. This can be added on at relatively low cost to your website. Subscribe to our blog to get more tips or feel free to submit your own tips here.